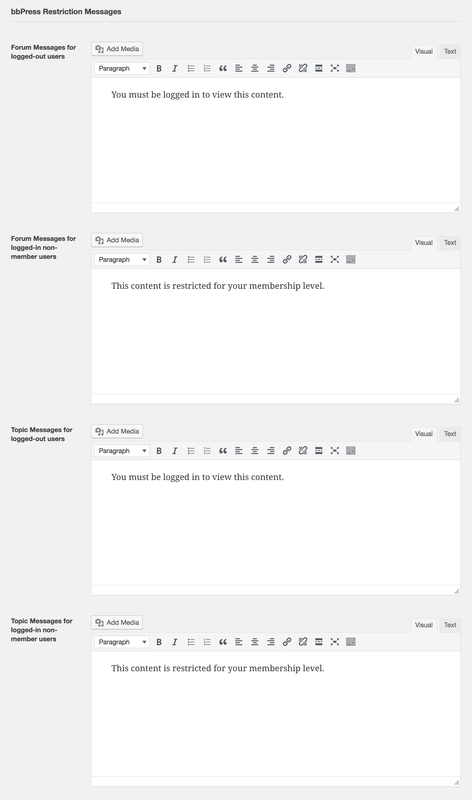 This add-on allows you to integrate Paid Member Subscriptions with the popular forums plugin, bbPress. You’ll be able to restrict your forums and topics and allow only premium members to have access to them. Possibility to restrict each forum. Possibility to restrict each topic. 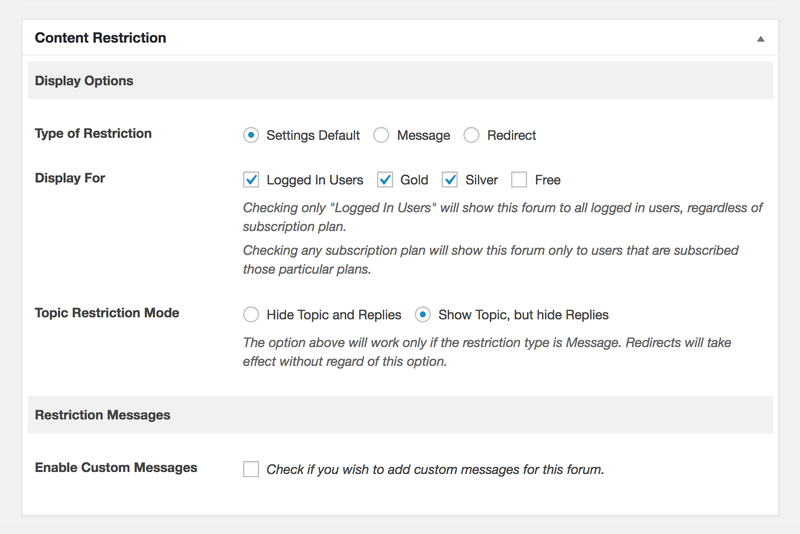 Option to add custom messages for restricted forums and topics. or to show the topic and hide just the replies. Find out more by reading this documentation for the Paid Member Subscriptions – bbPress Add-on. This is an Advanced add-on that is available only with a valid Pro or Hobbyist License.